The California-based brand is testing out a nontraditional way to deliver its pretzels to people. In the ever-growing off-premises space, brands are becoming more and more creative when it comes to getting their products into a consumer’s hands. Shifting to a model where delivery and carryout experiences are just as important as dine-in is essential for restaurants. However, integrating delivery into a restaurant doesn’t happen overnight. With a growing number of third-party services, delivery fees, and to-go packaging, restaurants are experimenting with different ways to successfully deliver their products. There’s not a perfect, one-size-fits-all approach. Some brands partner with one vendor, offer a limited menu, and that’s the end of the process. Other chains, like Wetzel’s Pretzels, are taking the time to develop a platform that not only delivers the product but creates a whole new experience for the customer. Wetzel’s is an established brand that has been a staple in malls over the past 25 years. In order to compete with other restaurants and give consumers more access, the company has opened in non-traditional locations. Now the California-based brand is testing out a non-traditional way to deliver its pretzels to people. Wetzel's CEO Jennifer Schuler at the Downtown Disney store. Last week, Wetzel’s announced a partnership with Kitchen United, a ghost kitchen, to begin developing a delivery program for the company. Schuler thinks this is the perfect time for Wetzel's to get into delivery. By working with an incubator like Kitchen United—that’s just a short walk from Wetzel’s headquarters, Schuler notes—the brand can find out what truly works best. From packaging and consumer demands to delivery partners, this process allows the company to ask a lot of questions and experiment in order to answer them. Through Kitchen United, Wetzel’s can test all delivery services—Postmates, Uber Eats, DoorDash, Grubhub, etc.—to see what fits, but to also see where customers are actually ordering from. There’s no specific timeline for a systemwide delivery launch, but Schuler says the testing will continue in California for at least the next six months. Schuler isn’t committed to having the company stick with one method for delivery. If it turns out that Wetzel’s customers are ordering primarily from one service, it might be an opportunity to consolidate resources and launch an exclusive partnership, but it’s way too early to think about that since the testing just launched, she says. “Kitchen United is a ghost kitchen so they integrate with as many partners as possible to maximize the number of customers they reach, and this is a way for us to partner with all of them and really see where our customer base tends to order,” she says. So far, Schuler has been impressed with the different advantages using a ghost kitchen offers. The company is able to experiment with operational processes and develop new menu items geared toward delivery. The incubator model allows Wetzel’s the flexibility to experiment with food items that guests wouldn’t see in the traditional locations. 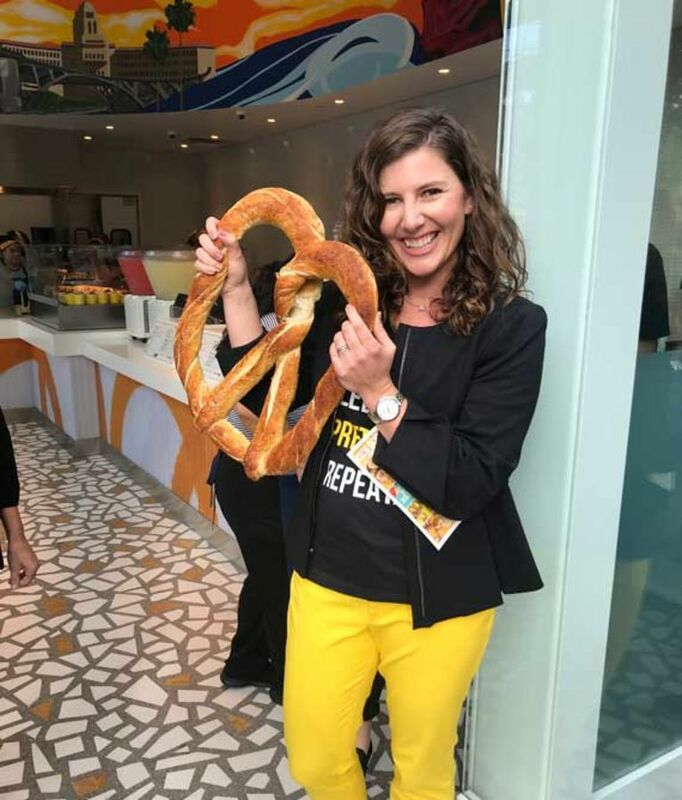 During an innovation day, Wetzel’s brought in social media influencers to see how they interacted with the product and the flavors they were excited to top their pretzels with. Think horchata, matcha, or spicy Cheetos, Schuler says. The testing is already showing some interesting trends. Average checks are considerably higher in the delivery space and more customers are ordering at night. Schuler says the orders are bigger and are almost like catering-style orders to fill a need for food at birthday parties or office meetings. 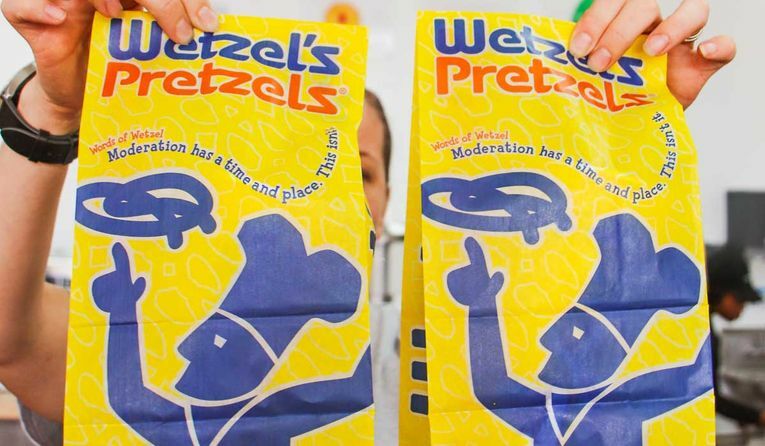 Wetzel’s is developing party packs and other bundle options in order to cater to these new demands. One of the possible outcomes of this test could be a continuous partnership with Kitchen United to carry out the delivery operation. The ghost kitchen has plans to open 14 more locations in 2019 and Schuler says the partnership could extend beyond California if they continue the partnership. Another outcome could be the use of ghost kitchens and a system that allows franchisees to offer delivery without hurting profitability. Schuler is a Wetzel’s franchisee herself. It has given her a new way to look at the company, she says.